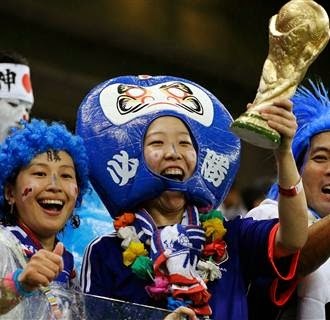 Japan in the World Cup - Samurai soccer in Brazil? He is in Brazil wowing the crowds at the World Cup. Here is another photo, only slightly different to the dressed up samurai. Which one do you like? What did you think of the youtube video? Are these the sort of things you have come to expect from the Japanese?